The region highlighted below shows the boundaries for the Calgary Evergreen Community Association (CECA). The City of Calgary community of Evergreen is somewhat unique in that it contains two community associations. 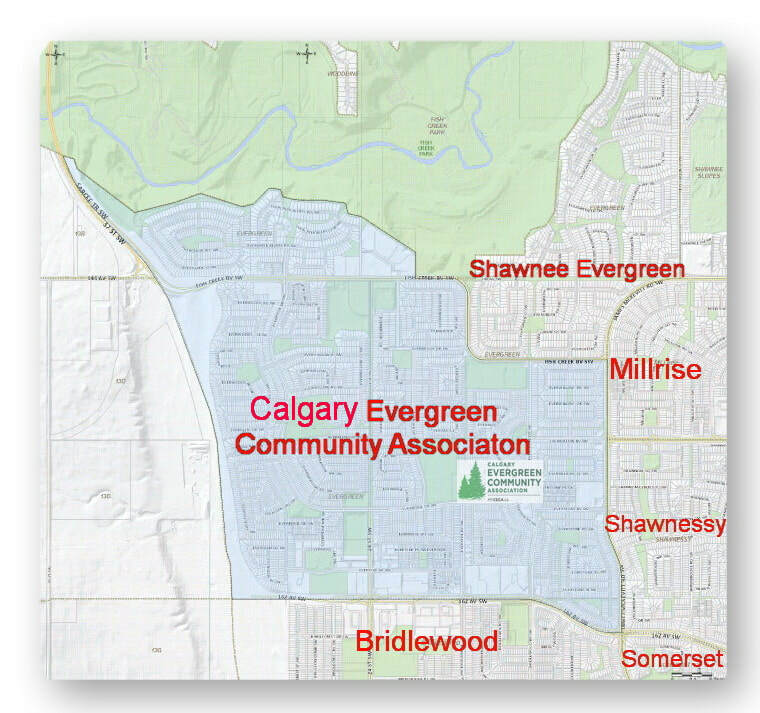 ​Please note in particular that street names containing “Evergreen” located to the upper-right (NE) of the shaded area, which although located within the City of Calgary Community of Evergreen, nevertheless belong to the district Shawnee-Evergreen Community Association (SECA) and not CECA.